Evacuated neighbors were allowed to return to their homes Friday night as crews fought a 9-alarm fire in East Boston. Firefighters are battling a massive, multiple-alarm blaze in East Boston on Friday afternoon. The fire was reported around 3 p.m. at the New England Casket Company. Evacuations were ordered around 5:30 p.m. due to the heavy smoke in the area. 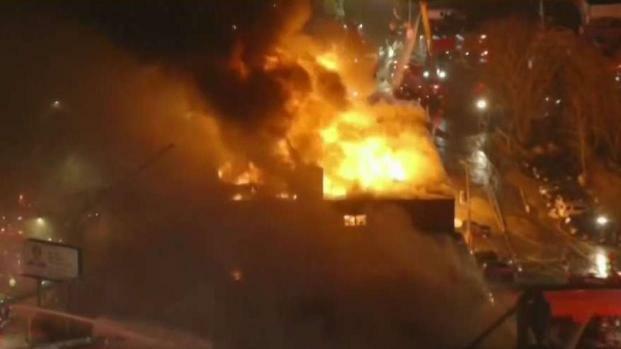 Boston Police were driving up and down the streets of East Boston Friday telling residents to get out as crews battled a massive 9-alarm fire at the New England Casket Company. Neighbors in the area were evacuated as huge plumes of smoke billowed through the streets and into the sky. Around 11 p.m., residents were allowed to return to their homes. "I didn't have any time to take anything with me, so I have to evacuate now," said one frantic dad leaving with his three kids. Their home is high up on hill overlooking the fire, but the fire was so massive, the raging flames appeared to threaten multiple homes. 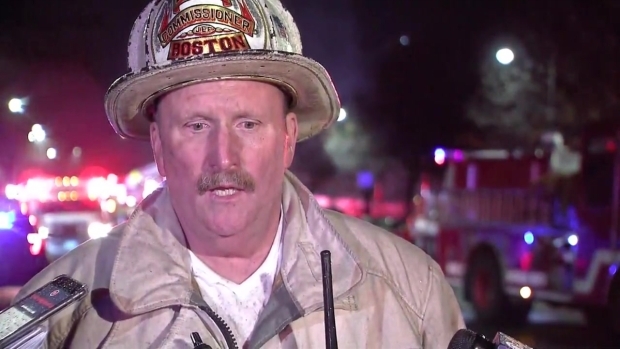 Boston Fire Commissioner Joseph Finn discusses the 9-alarm fire that raged Friday in East Boston. "I see it burning close to us. So we have to go," he said with his kids in the backseat of the car. Officers also went door to door, knocking on doors, telling people to evacuate Gladstone street. Residents grabbed their animals and whatever belongings they could. "It's been awful right now. My dog cannot breathe that much, so we need to evacuate the building," said Justin Norena. Planes landing at Logan Airport could be seen descending above the bright red flames and smoke. Massport said operations were not affected. 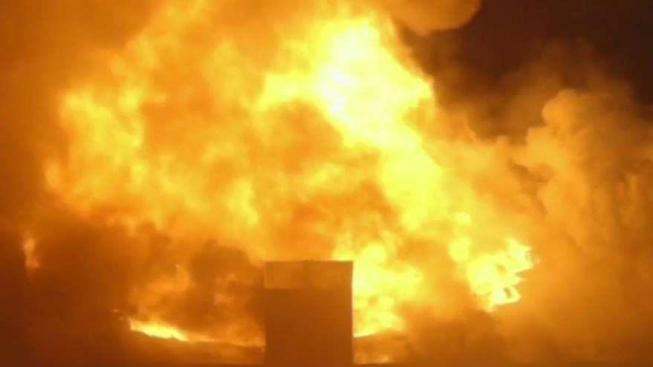 Crews fought a massive 9-alarm fire at a casket company in East Boston Friday. Residents also evacuated early on because of what they could be breathing in. "We are very concerned because we don't know what chemicals are burning now," said Rosa Garcia, one resident who had to evacuate.